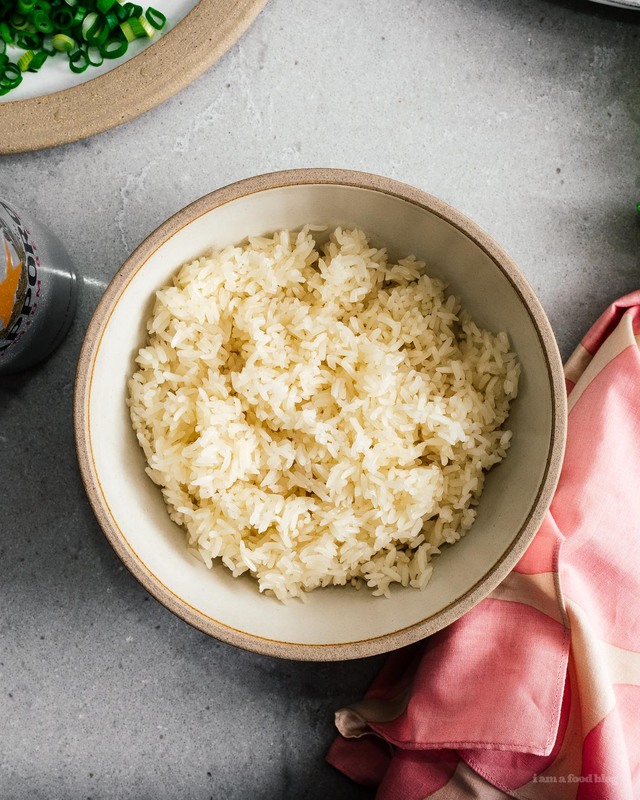 Forget delivery: making sticky rice at home is easier than you think! I like rice. As a super picky kid it was the one thing I would consistently eat, aside from dry cereal. 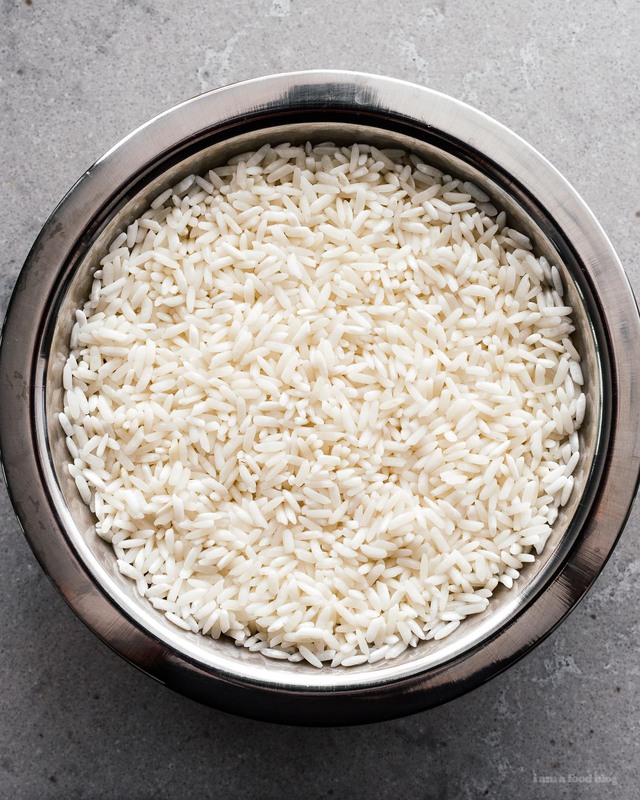 I became a connoisseur: I knew when it was overcooked and mushy, I knew when it was cooked perfectly al dente, and I definitely knew sticky rice. I loved the texture of sticky rice back then and I still love it now. Sticky rice is a bit different from regular rice, in that it’s steamed, instead of boiled. It also tastes different – it’s fragrant with a delightfully sticky texture. Usually, you find it alongside Thai food, like larb, soup, grilled meats and fish, or chili paste. It’s also used for things like sticky rice desserts, savory leaf wrapped steamed rice dishes, and mochi. 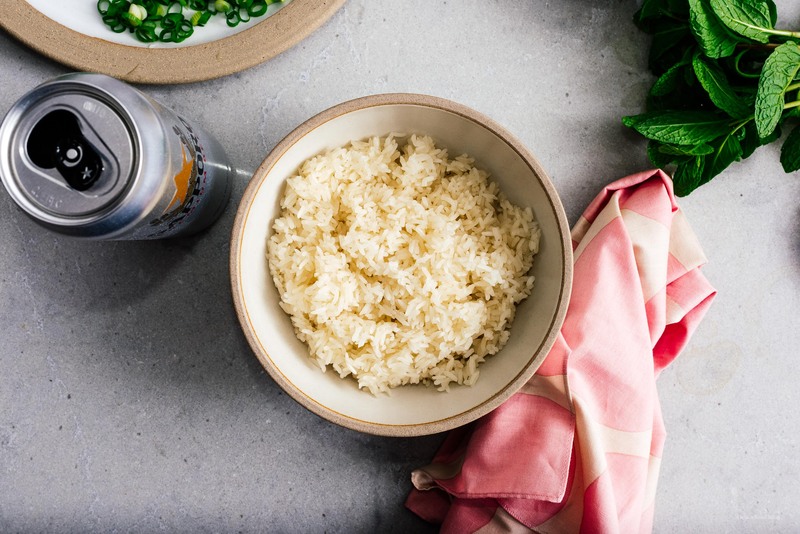 We don’t really make sticky rice at home much, because we always forget to soak it overnight. 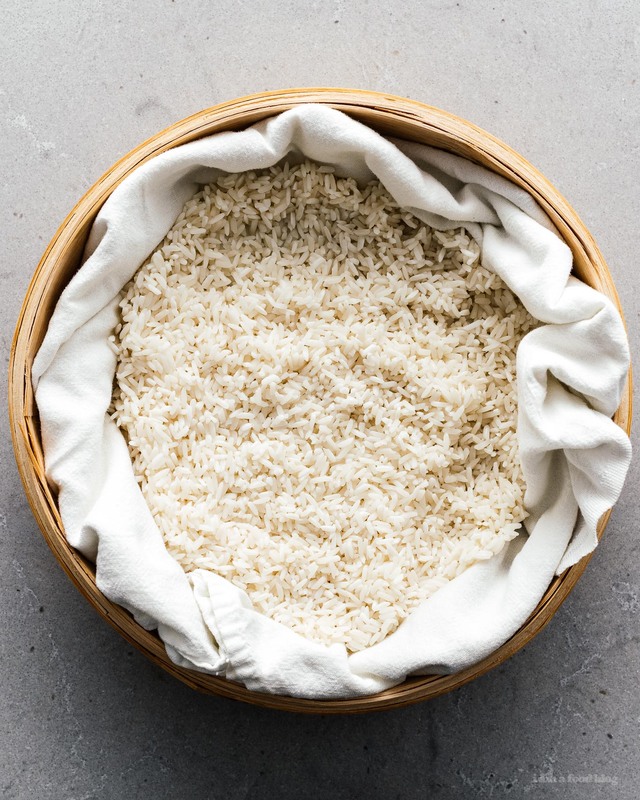 Soaking the rice over night is key – it lets the kernels of rice hydrate, so they cook more evenly. Soaking also ensures a nice tender texture when you steam it. 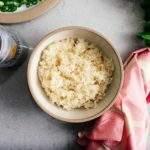 There are lots of recipes that don’t require soaking, but if you don’t, you don’t really get that soft, sticky texture when you think of sticky rice. You want the rice to be sticky, and squishable into a small ball, which is how Thai people generally eat it. Once you remember that you need to soak sticky rice before you cook it, you’re gold. I could eat this stuff every day! Soak the sticky rice in water overnight. The next day, drain the rice. 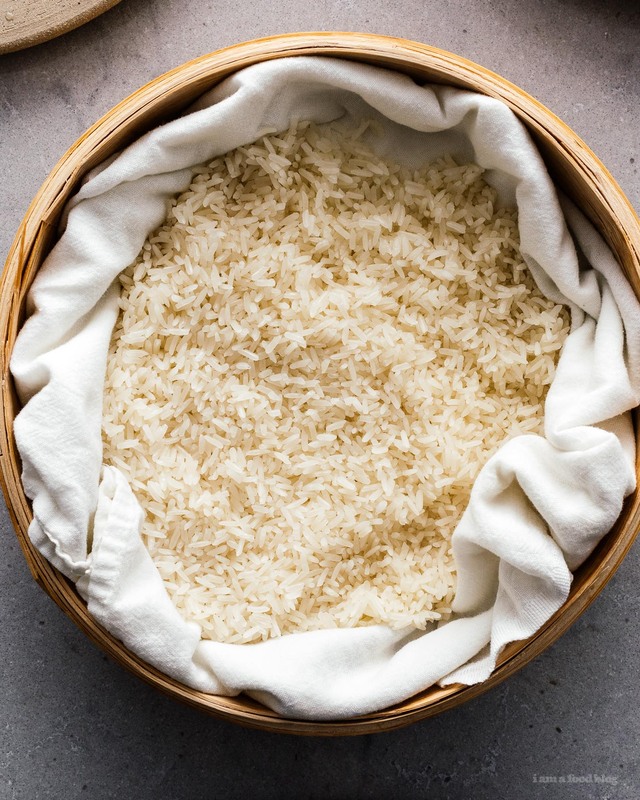 Line a bamboo steamer with a clean kitchen towel and spread out the sticky rice inside. Bring a large pot of water on to boil, then place the steamer on top, with the lid on. Steam for 20-25 minutes, depending on how soft you like your rice, and let stand, covered for five minutes. Enjoy warm! Alternately if you don’t have a steamer, you can use a colander and pot with a lid. Just place the rice in the colander and set it inside the pot. Make sure the water in the pot doesn’t touch the colander, then bring the water to a simmer and cover with a lid, steaming for 20 to 25 minutes.